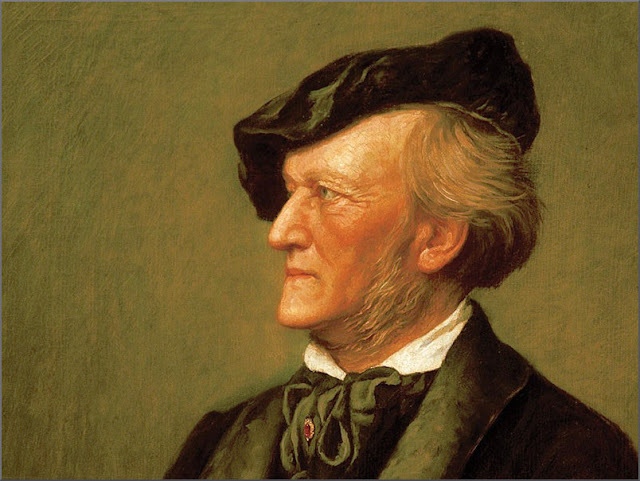 When BBC Radio 3 runs the whole of Wagner’s Ring on Easter Monday, Rhine Maidens to immolation, there will be free downloads once again – only this time with a difference. Unlike last summer’s Beethoven splashout, when all nine symphonies were reeled out over a fortnight and 1.4 million downloads were taken worldwide, the Wagner goodies are being strictly limited. What is being aired is the 1993 Bayreuth cycle conducted by Daniel Barenboim, this year’s Reith lecturer, and the BBC owns no further rights in the production. However, a freebie finger on www.bbc.co.uk/radio3 will point listeners to www.warnerclassics.com where they can help themselves to one track from each of the four operas, amounting in total to a Wagner happy half-hour. Warner are using the gift as a gateway to what it hopes will be a rush of web sales while the BBC is mending fences with the music industry which howled blue murder over Beethoven and acted as if Radio 3 was destroying its business when, in fact, no label had issued a symphonic cycle in three years, and none was likely to do so again. Interesting article today from Norman Lebrecht on Scena.org from which the quote above is taken. But is his statement "no label had issued a Beethoven symphonic cycle in three years, and none was likely to do so again", on which his argument hinges, actually correct? What about Osmo Vänskä's cycle with the Minnesota Orchestra? They have released an all-Beethoven CD featuring the Fourth and Fifth symphonies. Recorded at Orchestra Hall in Minneapolis in April 2004 using Super Audio CD technology, the disc is the first album in a five-year, five-disc cycle designed to record the complete Beethoven symphonies. Recorded on the Swedish-based BIS label, an audiophile label known for its high quality, the Minnesota Orchestra Beethoven collection will be one of the first complete cycles of Beethoven’s symphonies recorded in Surround Sound - for confirmation follow this link. The three-day long recording took place in Orchestra Hall in Minneapolis after no less than three performances of the work – performances that were hailed by local reviewers as ‘propelled by tremendous energy and momentum’ and ‘refreshingly unorthodox’. The quartet of soloists – Helena Juntunen (soprano), Katarina Karnéus (mezzo), Daniel Norman (tenor) and Neal Davies (bass-baritone) – were described as ‘outstanding collaborators’ and Minnesota Chorale was lauded an ‘Ode of impeccable beauty and power’. The recording will be released in SACD Surround during the Autumn of 2006, but is preceded by the second volume in the series, to be released in the Spring: BIS-SACD-1516, containing Symphonies Nos. 3 and 8. Mr Lebrecht might also have missed the Swedish Chamber Orchestra's complete Beethoven symphonic cycle on the Norwegian Simax label. Do I sense a slight case of not letting the facts get in the way of a good story? what difference does it make? Is there any overlap at all between the people that would buy the 9000th recording of Beethoven symphonies and people that download.